1. 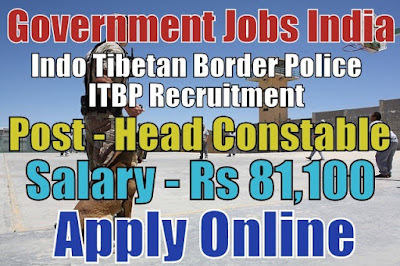 Head Constable (Male/Female) - 20. Educational Qualifications - Candidates have done 10th (matriculation), 12th, para-veterinary course/ diploma/ certificate of minimum one-year duration related to veterinary or its equivalent/relevant/higher qualification from a recognized board or university. To know more about educational qualification details, see the advertisement. If you are not graduated then, click here for 10th and 12th based jobs. Candidates need to register themselves online. Candidates need not send the application form via offline. Application sent via offline mode will be summarily rejected for sure. 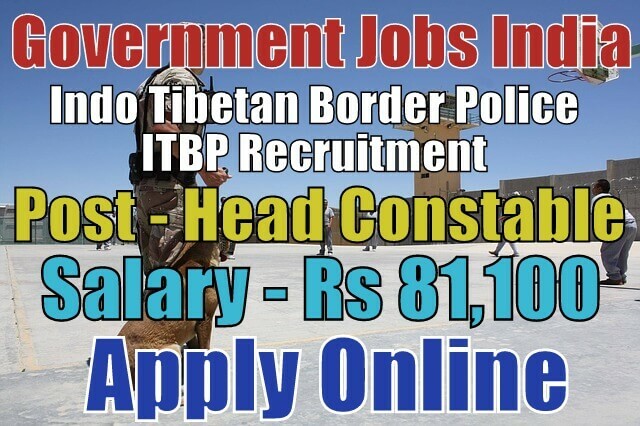 The online process for this recruitment will starts from (05-11-2018). Last Date for Submitting Application Form - All candidates must apply on or before (04-12-2018). After the last date, no application form will be submitted.